How to bet on the Melbourne Cup. 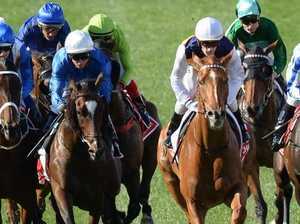 News Heavy rain caused chaos at Flemington but the main race still managed to stop the nation. Horses AUSSIE sporting icon Bruce McAvaney is going out with a bang. Horses YOU’VE heard all the so-called expert tips on the Melbourne Cup — but what about those who are actually closest to the horses? Fashion & Beauty IT’S the race that stops the nation, but let’s be honest — most of us are here for the fashion and the trackside chaos. Horses LEFT your 2018 Melbourne Cup planning to the last minute? Here’s everything you need to know before the race that stops the nation.